Hooray! We survived the longest month of the year. AND, I had my very first whole weekend away from my little boys (the eldest is 10 years old in April – yikes!) and I had the loveliest time with my friends, exploring Bath; not sure why it has taken me so long to do this. We have also been to the cinema and saw Wreck it Ralph – which we loved, went for a lovely long walk on Epsom Common and have spent a lot of time exploring Epsom; and shopping and eating a lot. 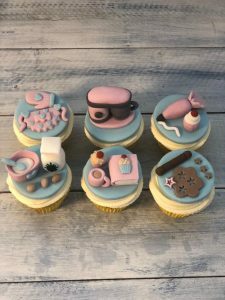 We have also spent a lot more time playing board games and baking, which has been super lovely. By the time you read this Dee and I would have been to Ripe and Nine’s Veganuary Supper Club at Yo Sarnie – Epsom… look out for my blog about this soon. I am very excited to get out of hibernation in February. 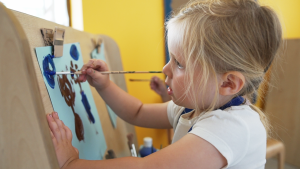 I have found some great activities in and around Epsom for the next fortnight (and beyond) plus some activities and classes that are taking place over half term. 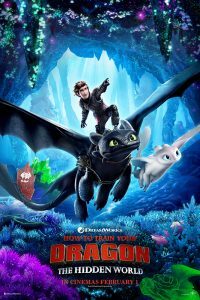 The new How to Train your Dragon film is coming out at the Epsom Odeon this weekend. My 10 year old is desperate to see this. Heathrow Airspace and Future Operations consultation event is at Bourne Hall Ewell from 10am – 4pm. 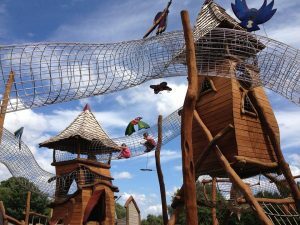 Godstone Farm has a jam-packed weekend of fun on the 2nd and 3rd, to celebrate Chinese New Year – activities include pig tickling, crafts and Chinese food. You can also celebrate Chinese New Year of the Pig at the Honeywood Museum in Sutton – there will be themed crafts and a piggy trail. Who doesn’t want the chance to actually touch objects in a museum? There is a Hands-on History table at the Museum of London. 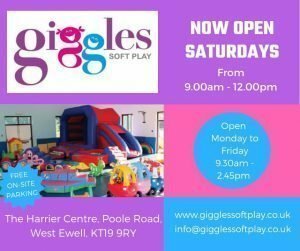 Also a quick reminder that Giggle Soft Play is now open every Saturday from 9am – 12pm. Great for the under 5’s. 10.30 – 11.00am Fennies Day Nursery is holding a Stay and Play group for under 2s (The theme is music time). 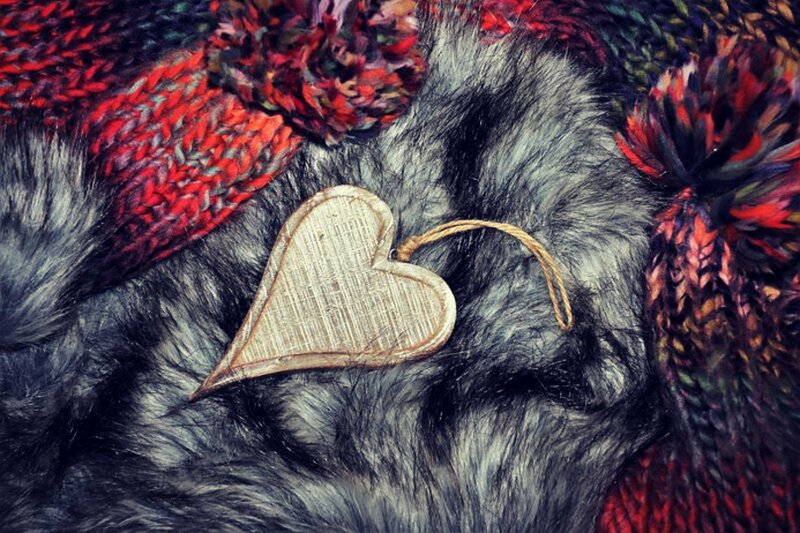 They are also holding sessions with different themes on the 11th, 18th and 25th February. To book a place please contact Cara or Bonnie on 0208 770 3207. This Tuesday (and every Tuesday) from 10 -11.30am All Things Nice and Mary Woodbridge, Ex-midwife & breast feeding advisor host their Mum and Baby time informal meet up. Mats & toys provided. 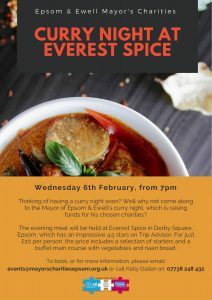 The Mayor of Epsom & Ewell is hosting a curry night which is raising funds for his chosen charities. There will be a selection of starters and a buffet main course. Tickets available from: events@mayorscharitiesepsom.org.uk or 07738 248432. 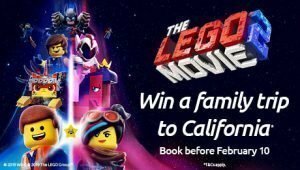 Join Emmet, Wyldstyle and friends at the new Lego Movie 2 film, opening at the Epsom Odeon this weekend. Book tickets before the 10th of February to stand a chance to win a trip to California. 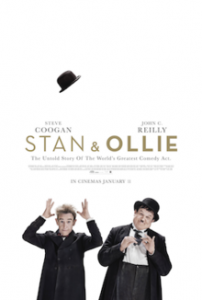 Laurel and Hardy attempt to re-ignite their careers in the film Stan & Ollie. There are various showings taking place at the Leatherhead Theatre. You can also see performances by the Surrey Youth Music Theatre at the Leatherhead Theatre on the 9th. They will be performing The Greatest Showmen of Musical Theatre at 7.30pm. 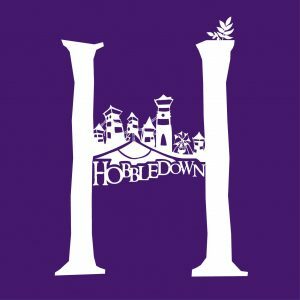 Hobbledown will be flying kites on ‘National Kite Flying Day’. Create your own kite, or bring one along, and see how high it can fly. NCT Nearly New Sale, with priority entry to NCT members at 3pm (with valid membership card) and for non-members after 3.15. St Andrew’s Church, Cheam. Top quality baby & children’s clothes and equipment at bargain prices. 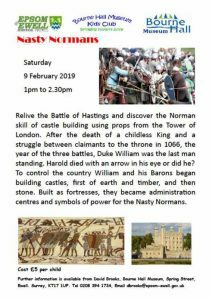 Bourne Hall Museum Club has a Nasty Normans workshop happening from 1.00pm – 2.30pm. 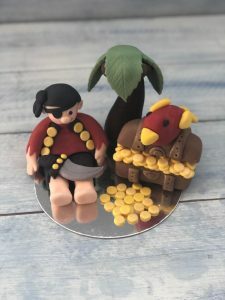 Learn how to make beautiful cakes, like Amy from Pandibakes, at the baking course on Saturday 9th and the pirate making course on Sunday 10th. 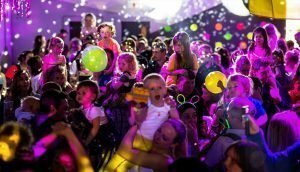 If you are a retired raver and would like to be reminded of the good ol’ days, with your kids in tow, then book tickets for the Big Fish Little Fish Rave in Farnham. I do love the sound of it – kind of. 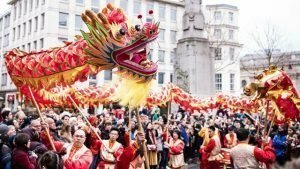 One of my favourite celebrations in London is the Chinese New Year. I am unfortunately working this year, so won’t be able to attend but I can highly recommend it. We love the colours and music and vibe of this festival. A great family day out in London. 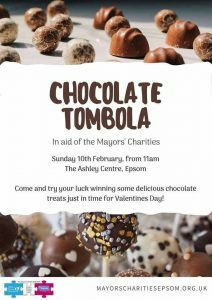 There will be a Chocolate Tombola at the Ashley Centre, in aid of the Mayor’s Charities. 11.00am – 4.00pm. 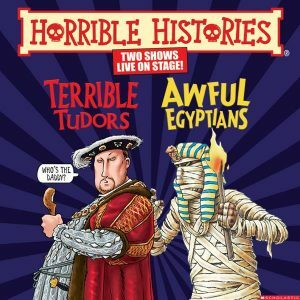 I will be taking my 10 year old to the Terrible Tudors and Awful Egyptians at G Live between the 14th and 16th. He is learning about the Tudors at school and loves Horrible Histories. 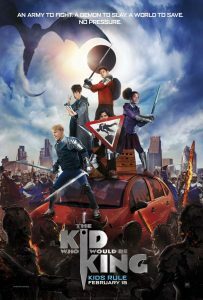 The Kid Who Would be King, a modern day version of the King Arthur story, opens at the Epsom Odeon this weekend. It looks brilliant! 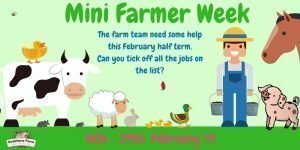 Mini Farmer Week is happening at Godstone Farm from the 16th – 24th February. 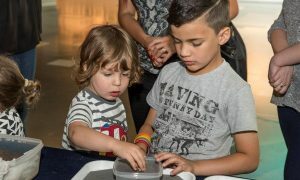 Farmyard Fun, animal encounters, a trail, and also the opportunity to feed, groom and milk the animals. 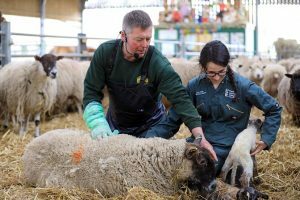 Meet the new Bocketts lambs and the shepherds who look after them, see the magnificent Birds of Prey, take part in the Gigglettes shows, make some crafts or do the usual Bocketts activities on this wonderful, busy farm. 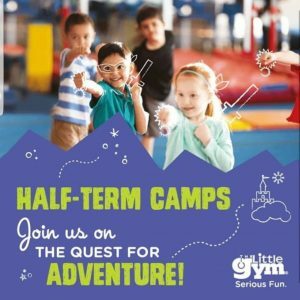 The Little Gym Cobham are running half term Holiday Camps. 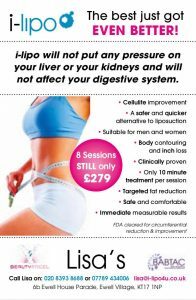 For more information call 07541 636 665 or email cobham@thelittlegym. EzeeSport will be holding multi-sport classes in Epsom and Leatherhead. 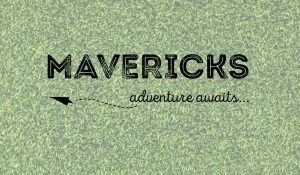 Mavericks Day Camps also have activity camps for children between the ages of 3 and 16. Their camps look like so much fun. 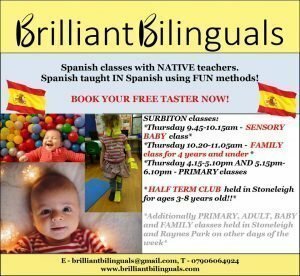 Brilliant Bilinguals in Stoneleigh has a February Half Term Spanish Club for 3-8 year olds. Do you have a Little Mix, Ariane Grande, Taylor Swift, Rihanna, Katy Perry, Beyonce, Meghan Trainor or Nicki Minaj fan in your house? Then you need to book the Pop Diva’s Live at Epsom Playhouse. 4.00pm – 6.00pm. 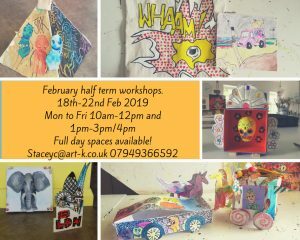 Art-K Ewell in Stoneleigh have art-based Half Term Workshops. 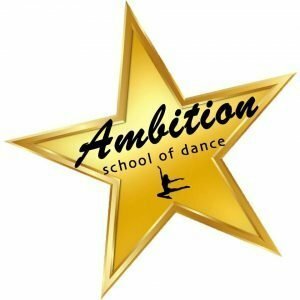 Ambition Dance will be running a Mary Poppins workshop at the St Martins Scout Hall, Epsom. 9.00am-4.00pm. For children aged 4yrs+. £25 for the day (10% sibling discount available). There will be a mix of dancing, acting, singing and crafts, based on the Mary Poppins films. 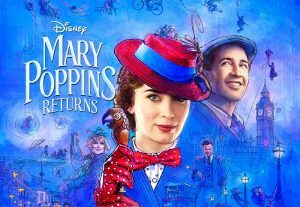 I might need to visit Leatherhead Theatre to see Mary Poppins Returns – yes, I still have not seen it – the joys of having boys who only want to watch boy films. You can see it on the 19th, 20th or 21st. 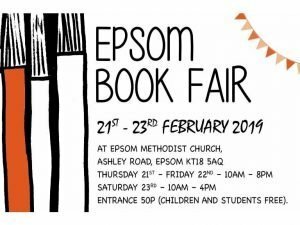 The biggest local charity book fair is taking place at Epsom Methodist Church from the 21st to the 23rd. We will be there so hope to see some of you. 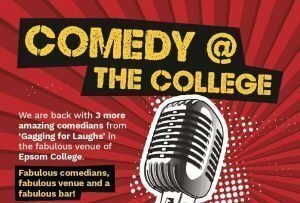 Comedy @ The College, hosted by Age Concern Epsom and Ewell, is back at Epsom College 7.30-10.30pm, sounds like a fun evening out. 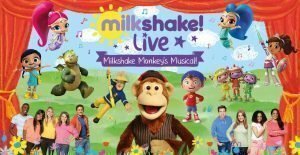 Milkshake Live is coming to the Epsom Playhouse from 12.00 – 13.30. A fantastic musical production, featuring some of your favourite TV characters. Some other days out near Epsom and Ewell – the new under 8 play park (or the trampoline park for the older children) at Sutton Sports Village, The RAF museum, Horniman Museum – which has a lot of term time and half term activities, a fab discovery walk on the Priory Park Farm, there is half term family fun at Brooklands (motorsport and aviation) Museum, the Discovery Centre in Bracknell Forest, check your local Epsom or Ewell Surestart centres for some fantastic activities, and there are also some great activities for all ages at Southbank. 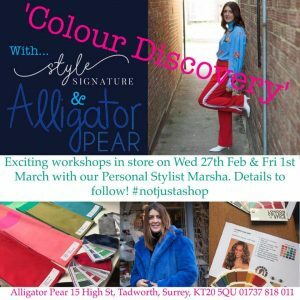 Alligator Pear, in Tadworth, are hosting a Colour Discovery Workshop, with the lovely Marsha. I loved learning all about my colours, when I did a course last year. 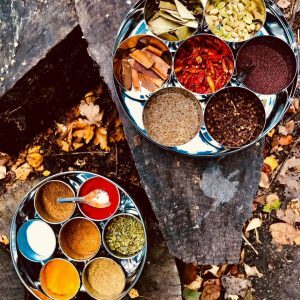 Jaya is hosting her 1st Indian Inspired supper club at Cullenders Delicatessen in Reigate from 7:00 pm for a group of 25. 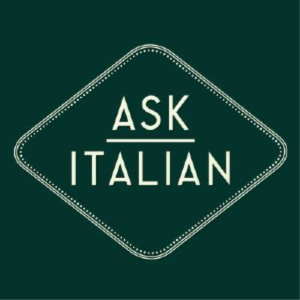 The menu is close to her heart, featuring her special family recipes and the use of quality locally sourced ingredients and fresh spices. There are only 10 tickets left, so hurry! There is so much to do and see, I cannot wait. 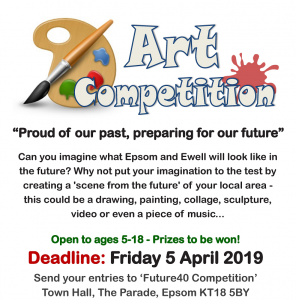 But if you are looking for any other local activities or have a question about Epsom and Ewell, then pop over to the Epsom and Ewell Families Facebook page or group, and ask away. 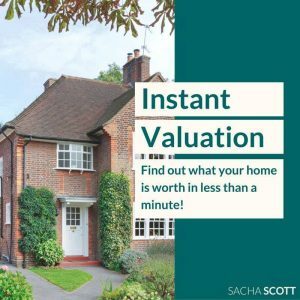 And if you are looking for a local business recommendation, or other blog posts about living in the area, then make sure that you have a look at the Epsom and Ewell families website. 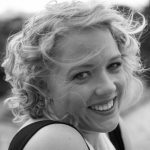 Kalli Pasqualucci is a mum of two boys, working in Ewell and living in Epsom.